The chassis is obviously an Austin FGK100. The very handsome, if somewhat impractical, body, however, does not closely resemble anything that I have seen elsewhere. Of the major builders, it bears some resemblance to the products of Cocker of Southport (windshield) and Bailey of Biddulph (dome), but I'm certainly not convinced that it is a product of either concern. 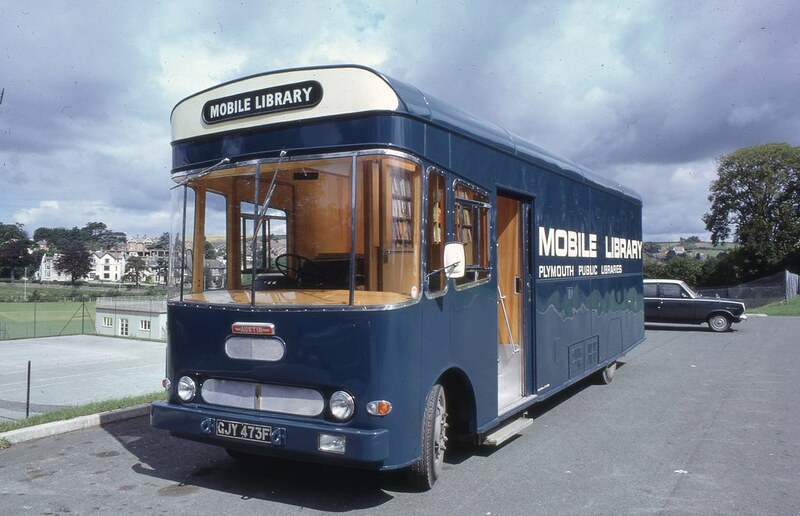 It could be a one-off specimen from a coachbuilder not hitherto (or subsequently) noted as a manufacturer of mobile libraries. I did not think that Mumford were still in the coach building business at the time that this was built,but they would be a promising candidate if they were. Local authorities tended to favour local manufacturers as far as possible in those days. One thing's for sure, I wouldn't fancy having to drive it in wet weather, seated a good four feet back from the windshield! If anyone does have any more information on this library I would love to know more.